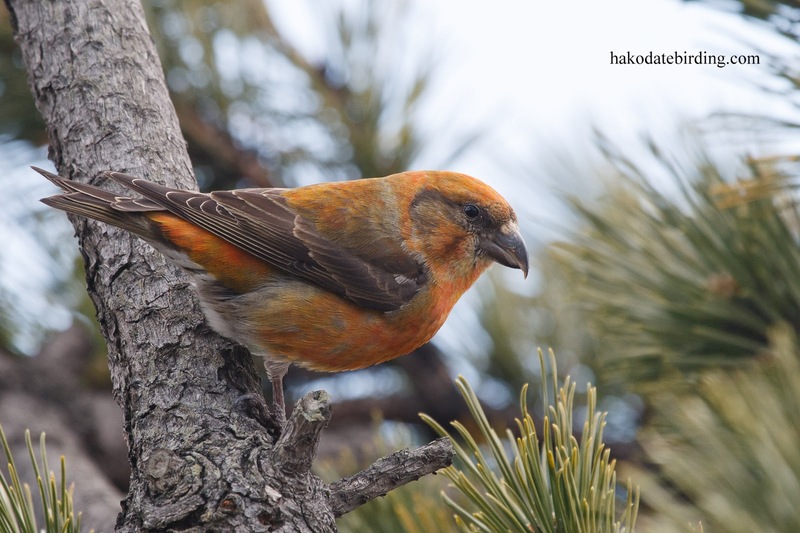 There have been 3 big Crossbill invasions in Hakodate since I've been living here. 2003, 2009 and 2014. 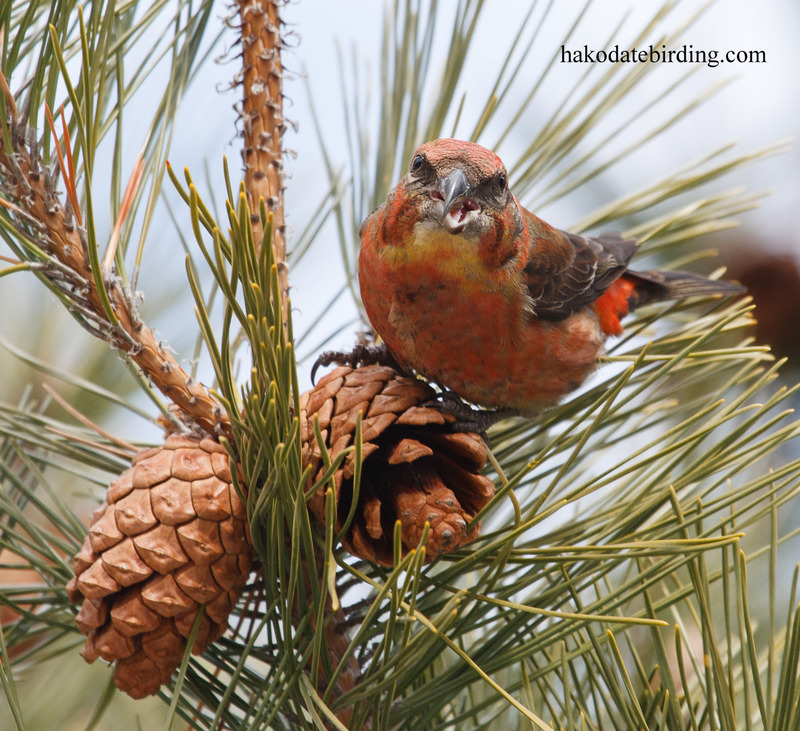 I see the species most (but not every) years but these 3 late winters/early springs were something else with flocks of them everywhere in town. I saw my first flock of 2016 today actually but they were high up in the tall trees in one of the bigger parks, there are still plenty of cones up high. 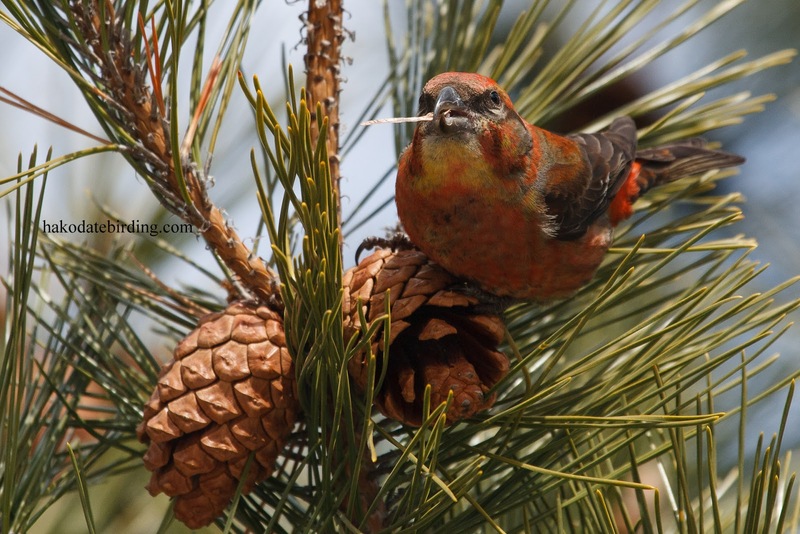 In invasion years the flocks eat all the pinecones in the bigger trees and then they visit small clumps of low conifers or are even on the ground feeding on fallen pinecones. In 2009 I was a bit of a novice photographer. I used 'A' mode instead of 'M' mode meaning I sometimes got a lot of camera shake as the shutter speeds were quite low. I was also using an entry level 400D which was generally terrible over ISO 400 and which also had rather limited AF capabilities. These pics turned out OK though. These pics are not heavily cropped (and at only 10 megapixels the 400D was not a good camera to crop heavily with) as the crossbills were pretty tame. 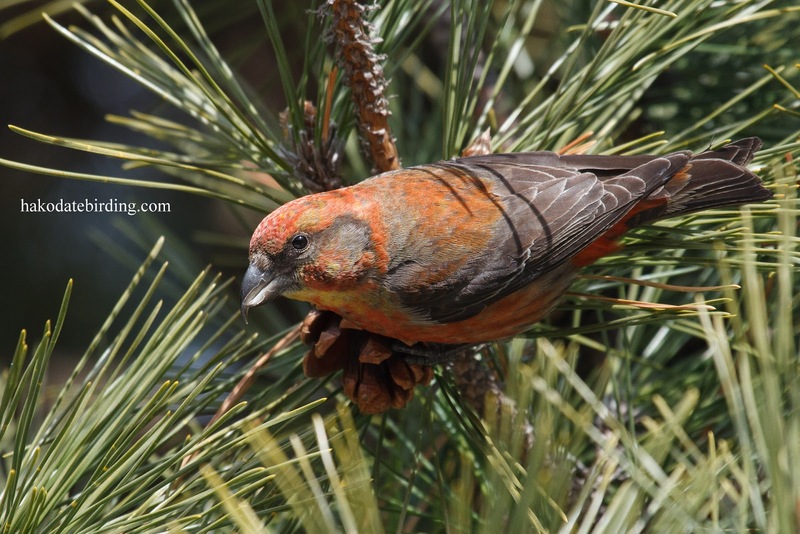 I even got crossbill s**t on my camera! 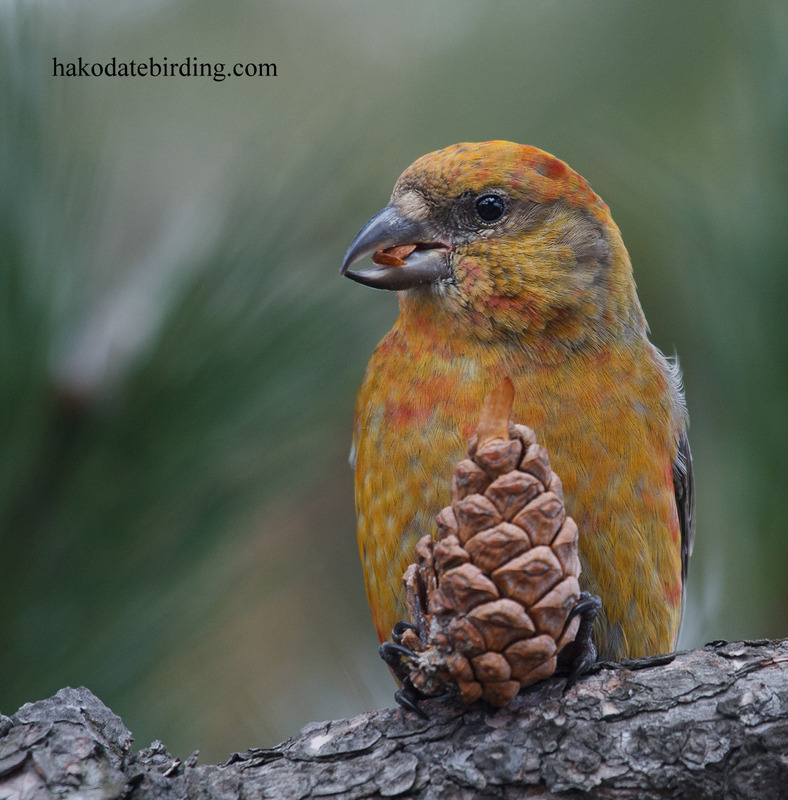 There were a couple of White Winged Crossbills in among the flock (although I didn't get any decent shots of them). 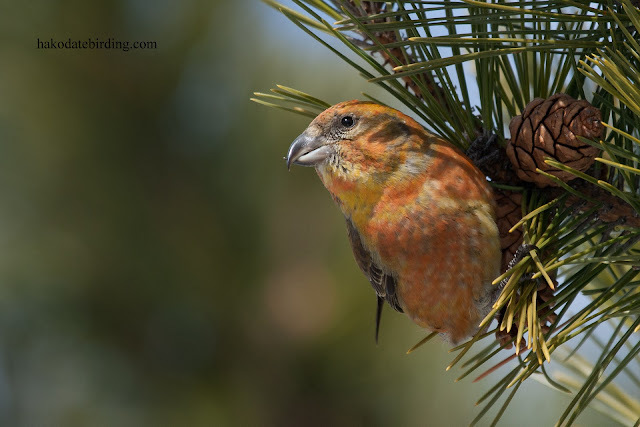 Crossbills are easily my favourite bird. I wonder when the next big invasion will be? 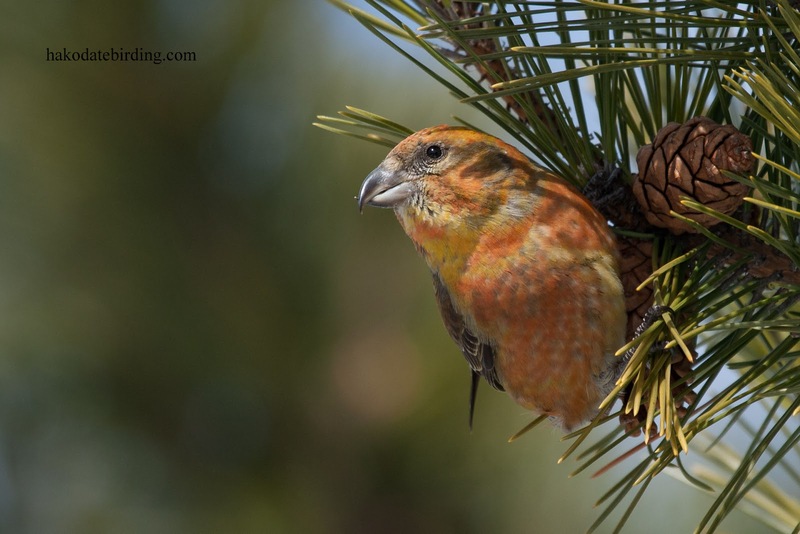 I haven't seen a crossbill here for years. Lovely, close-up views. I've only seen them at a bit of a distance. They look like high end pics to me Stu. Super shots Stu. 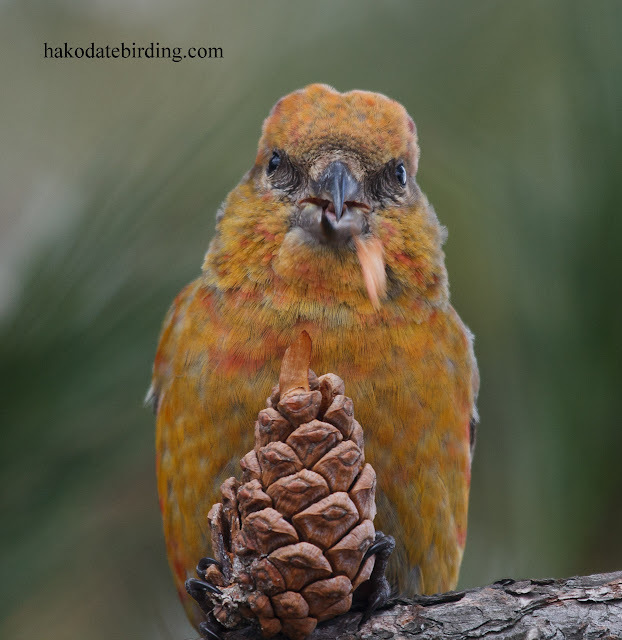 Not much chance of seeing Crossbills here as you know. Certainly not as close as those.